Error 0x80070020 is currently one of the most common Windows errors you are most likely to encounter. This is especially true if you happen to have upgraded the installed Windows OS. 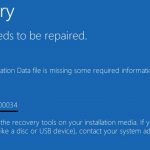 Error code 0x80070020 relates directly to updates that Windows releases. Although it is very important that you set your computer to download and install the necessary updates automatically, there are various issues that come into play, issues that either interferes with the smooth download or smooth installation of the same. What Causes Error 0x80070020 to Occur? The installed antivirus/malware program that prevents installation of updates. A virus/malware infection is one of the leading causes of error 0x80070020. Run the installed antivirus/malware program to address any virus/malware. Restart your computer and continue working as usually to see if the error still gone. The installed antivirus/malware program is the other primary cause of the error. It causes the error when it stops an update from installing, mistaking it to be a virus or malicious attack. Consider disabling the antivirus/malware program. Restart your computer and continue working to see if the error is fixed. Do remember to enable the program again in case doing so serves to fix the error. Downloaded updates that are not installed do prevent installation of other updates even when they are downloaded. Check if there are any pending updates to install them. Allow any pending updates to be installed. Restart your computer and continue working to see if the error 0x80070020 is fixed. The system file checker (SFC) is a valuable built-in tool that serves to repair any corrupt system files that can cause error 0x80070020. 1. 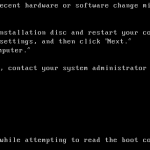 Right-click on “Start” before choosing “Command Prompt“. You need to have administrative rights to the computer. 2. Type “sfc /scannow“, ensuring that leave a single space between sfc and the /. The tool will take some time to check, find and repair any corrupt files. The tool will eventually report that it did not find any corrupt files or found some and corrected them. Restart your computer after tool reports to have repaired some files. The error should be fixed. Otherwise, you need to run the DISM tool, which analyzes system files deeper than the SCF tool. 2. 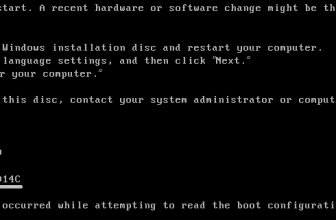 Right-click on “Start” before choosing “Command Prompt.” You need to have administrative rights to the computer. 3. Type “DISM /Online/ Cleanup-Image /RestoreHealth“, ensuring that there is a single space after every /. Allow the online tool to check, find and repair any corrupt system files. 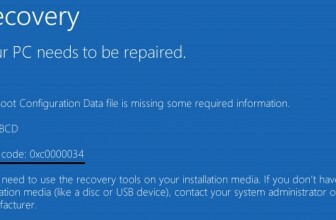 Restart your computer to check if this helps you to get rid of Windows error 0x80070020. Running the built-in CHKDSK utility helps to repair bad sectors on the hard disk that may be causing error 0x80070020 and many other Windows errors. 1. Press the combination of Win + X key to open up power user menu. 3. Click “Yes” to open up the command prompt with administrative rights. 4. Type “chkdsk” and “C“, which is the hard disk. Note that you need to leave a single space between “chkdsk” and the drive letter. 5. Type “/f /r /x“, ensuring that you leave a single space before each /. This command serves to tell the utility to locate, dismount the drive, fix and recover any bad sectors on the hard disk. 6. Press ENTER to let the service run. Allow the utility to complete before restarting your computer and working regularly to see if the 0x80070020 error is gone. One of these solutions should work to fix error 0x80070020 on your computer. However, it may become necessary to perform a system restore just in case any of the solutions does not work. It is only in exceptional circumstances that the need may arise to perform a fresh installation of the operating system. 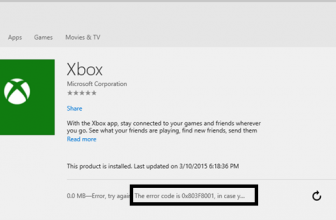 80070020 error comes .when I download my app in Lumia 535.plz provide real solution.